272 pages | 18 B/W Illus. 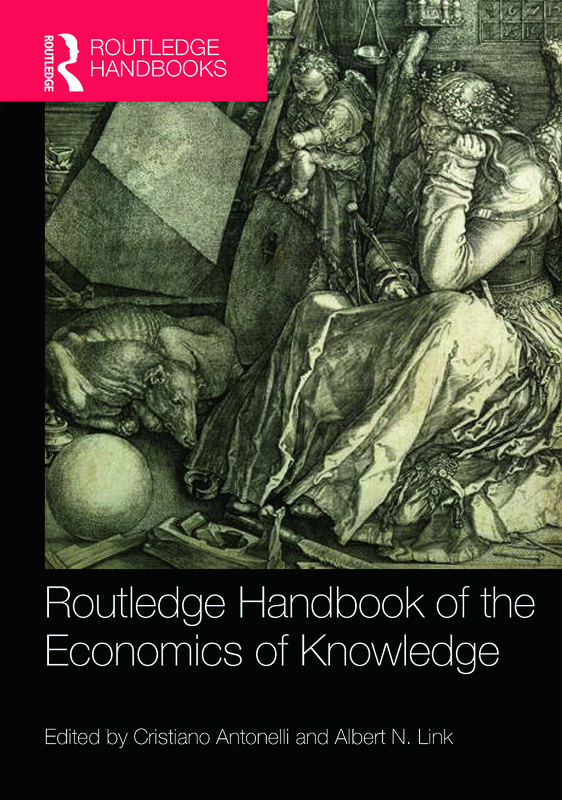 The Routledge Handbook of the Economics of Knowledge provides a comprehensive framework to integrate the advancements over the last 20 years in the analysis of technological knowledge as an economic good, and in the static and dynamic characteristics of its generation process. There is a growing consensus in the field of economics that knowledge, technological knowledge in particular, is one of the most relevant resources of wealth, yet it is one of the most difficult and complex activities to understand or even to conceptualize. The economics of knowledge is an emerging field that explores the generation, exploitation, and dissemination of technological knowledge. Technological knowledge cannot any longer be regarded as a homogenous good that stems from standardized generation processes. Quite the opposite, technological knowledge appears more and more to be a basket of heterogeneous items, resources, and even experiences. All of these sources, which are both internal and external to the firm, are complementary, as is the interplay between a bottom-up and top-down generation processes. In this context, the interactions between the public research system, private research laboratories, and various networks of learning processes, within and among firms, play a major role in the creation of technological knowledge. In this Handbook special attention is given to the relationship among technological knowledge and both upstream scientific knowledge and related downstream resources. By addressing the antecedents and consequences of technological knowledge from both an upstream and downstream perspective, this Handbook will become an indispensable tool for scholars and practitioners aiming to master the generation and the use of technological knowledge. Cristiano Antonelli is Professor of Economics at the Univeristy of Torino where he is the President of the School of Economics and Statistics and a Fellow of the Collegio Carlo Alberto, Italy. Albert N. Link is Professor of Economics at the University of North Carolina at Greensboro, USA.